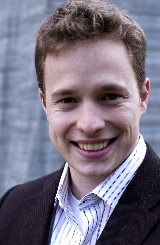 International Association of Teamwork Facilitators: Interview: Marc Kielburger -- Coauthor of "Me To We: Finding Meaning in a Material World"
Interview: Marc Kielburger -- Coauthor of "Me To We: Finding Meaning in a Material World"
How old do you need to be before you start doing your life's work? How old do you need to be to change the world? If you're Marc Kielburger you're going to answer the above questions a little differently than most. Marc is a 29 year old Canadian who is an accomplished social advocate, leadership specialist, best selling author, and sought after speaker whose work has been featured on Oprah, CNN, 60 Minutes, BBC and profiled in numerous magazines and newspapers. For 12 years Marc and his brother Craig (age 23) have been running the world's largest network of children helping children through education and - - literally - - saving thousands of children's lives every year through their organization Free The Children. Yep. Do the math. These guys started playing big on the world scene when they were young teenagers. And now Marc and Craig have coauthored a new book entitled Me To We -- Finding Meaning in a Material World. This book that will change the way you view the world. Me To We inspires readers to improve their lives, communities and the world by thinking "we" in order to gain a level of fulfillment and happiness that cannot be acquired through materialistic means. "Having spent time with world leaders such as Mother Teresa and street children all over the world, we discovered one undeniable pattern. When individuals have a strong involvement in the betterment of their community, they show increased levels of meaning and happiness in their life." In this interview you'll hear Marc share some statistics that wil shock you (I was shocked) that point to how our personal values impact people living around the world. Marc also shares simple action steps you can take that help bring about positive change on a local, regional, national and international level. This is what I love most about the message Marc and Craig are sharing in their book Me To We - - that we don't have to wait on someone else, some government agency or head of state, to decide when it's time to bring about positive change. Marc and Craig teach NOW IS THE TIME and WE ARE THE ONES who are fully capable of doing what's needed. Don't wait. Take action now. Be empowered. Read this book.